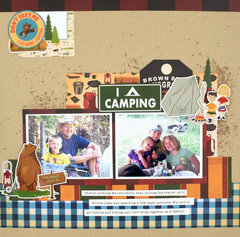 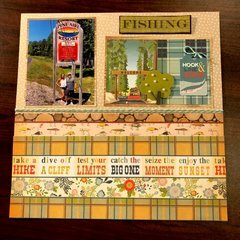 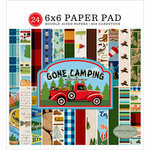 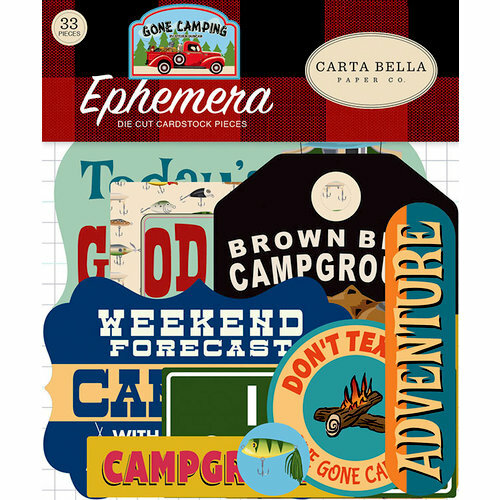 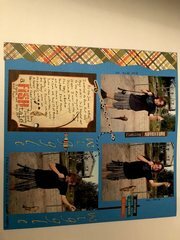 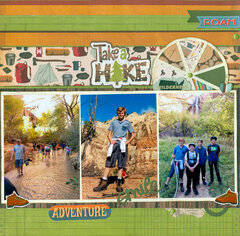 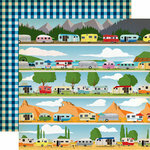 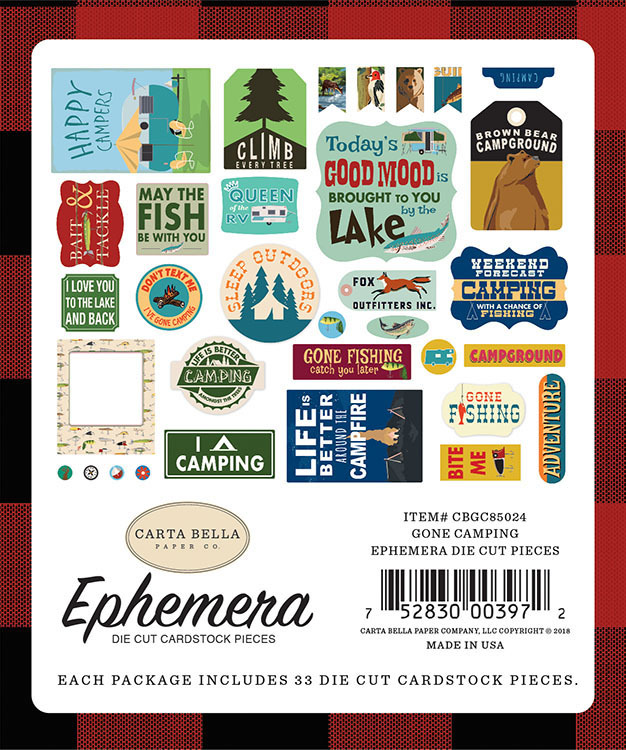 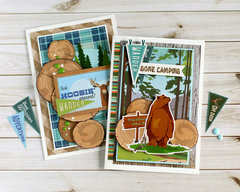 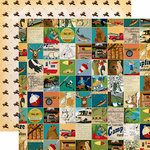 You'll love decorating your camping journal, layouts and more with the Gone Camping Collection Ephemera pack! 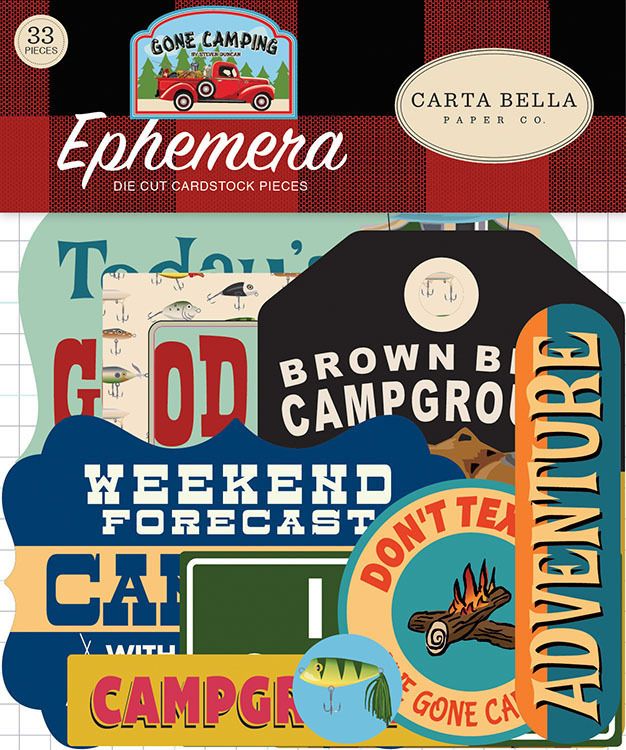 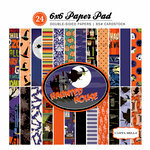 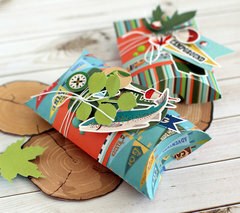 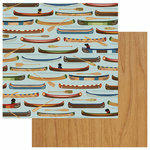 The package includes 33 die cut cardstock pieces made in the USA by Carta Bella Paper. 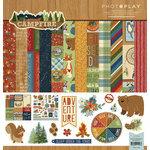 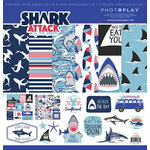 The pack includes outdoor and camping themed expressions and images.